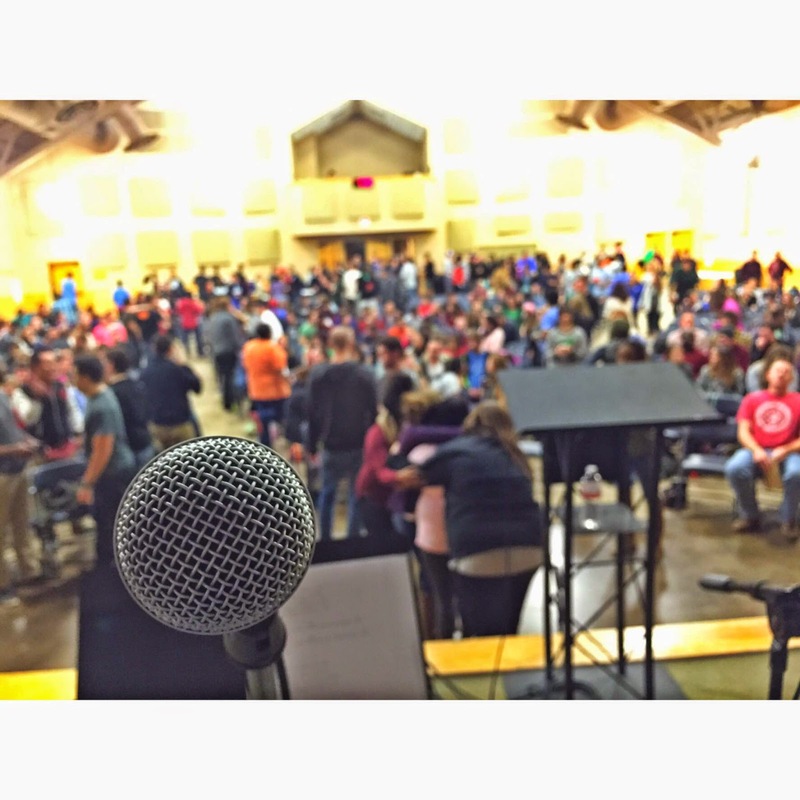 Confessions of a Campus Missionary: 2015, Winter Camp, and More! 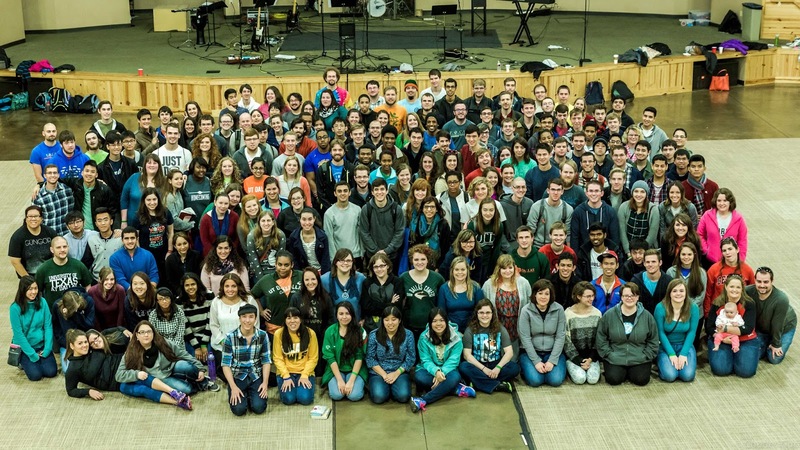 2015, Winter Camp, and More! We're already a month into 2015 and I cannot be more thankful for where God has us and the work he has us all involved in through his mission. We had our annual winter camp for all our FOCUS campus ministries and it was such an encouraging time to be with everyone. Iain Provan, a professor of the Old Testament from Regent College (Vancouver, BC), came to speak to us for the weekend. It was our biggest winter camp yet and I am beginning to see how your support (along with the hundreds of other mission supporters) is making a difference on parts of our ministry that I don't even see. Students from small community colleges throughout the metroplex where there aren't any other campus ministries are hearing the gospel and experiencing spiritual friendships for the first time! Praise God! "Having come from a church where I was the only college-aged member between a chasm of high schoolers and young married couples with kids, campus ministry has been my main community to serve God and make disciples. Godly men like JD and Sirak have poured into my life and have painted the vision for me and have been spiritual leaders in my life-setting young adult life. I have been equipped to go and teach and invest is others to show them the love and gift I have received from campus ministry and will continue to take what I have learned with me wherever God takes me." Marcus and I meet weekly with his small group partner and I think that it is awesome to think about how he has grown and been shaped my campus ministry. I met Marcus for the first time last year but he was a leader at one of our community colleges and had transferred to UT Dallas and jumped into leadership because the Lord called him to impact people. He's such a great guy - I hope his testimony encouraged you. Enjoy all the pictures below! Our first Friday Night FOCUS @ UTD after Winter Camp. Our students were so excited to get back together! 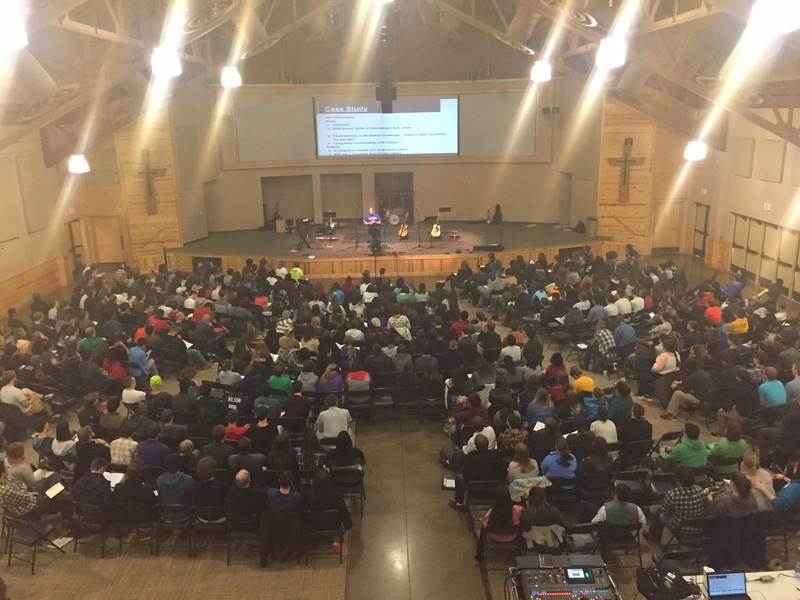 The view from the top balcony at winter camp - Brandon is seen on the stage delivering his talk on theology of vocation. I had the privilege of leading worship on Saturday morning at camp, this was a picture of our students gathering inside and finding their seats. Our UT Dallas FOCUS ministry! These are the students that I get to be with and serve on a daily basis - Thank you for your support and vision for what we're doing on God's college campuses - this camp experience really grew our students and ministry together! I wish every one of you could've been with me at camp over MLK weekend to see what God is up to on his college campuses. It was a reminder that HE IS FAITHFUL. I am constantly trying to understand how to get into a good rhythm with life, work, and studies so I can be effective for the Lord but when I go to camp and see just how consistent and omnipotent God is I am blown away and can only respond in worship. He is capable of more than we can ever ask or imagine - may we meditate on this and remember that he is Lord! Thank you for your belief in the mission and willingness to be active participants in the gospel with us!